Marilyn has been sewing and quilting since the age of fourteen. Born and raised in the rural, farming community of Bolivia, NC, sewing and quilting were necessities. Marilyn’s first sewing experience was probably helping her mother make woven and tied floor rugs from feed sacks and tobacco twine. Her mother, Mattie Pearl, also taught Marilyn how to embroider and decorate homemade pillowcases. Home Economics was a required part of Marilyn’s high school education and it was there that she learned to construct garments. Under the tutelage of Lizzie Mae Mitchell, Home Economics teacher at Southport – Brunswick County High School, she constructed her first garment. Scraps from this garment were used to make an eight-pointed star quilt. With the help of her mother, Marilyn made her second quilt, a lone star, from scraps of polyester fabrics. She is a 1974 graduated of Bennett College with a degree in Home Economics, Clothing and Textiles. With the encouragement of Professor Louise G. Streat, she continued her studies at Howard University, Washington, DC. Marilyn’s Masters thesis centered on a historical study of North Carolina quilt making. Marilyn retired from the North Carolina Cooperative Extension on February 28, 2007. Her Extension career – nineteen (19) years with the University of the District of Columbia and twelve (12) years here in North Carolina – were most rewarding. 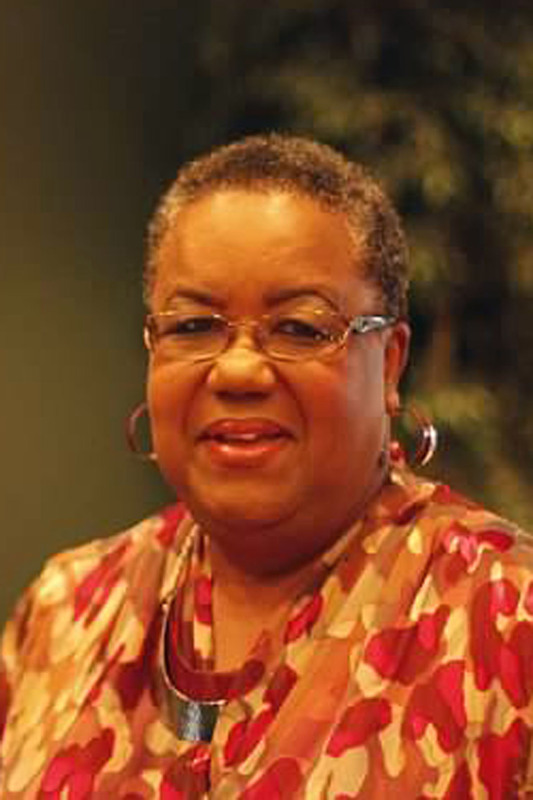 She served in several national executive board positions with the National Extension Association of Family and Consumer Sciences (NEAFCS), including the 2004 – 5 President. Marilyn is an avid quilter, using such techniques as traditional, paper piecing and crazy quilting in her hand-quilted quilts. She has completed over 100 quilts. She is a member of the Charlotte Quilters Guild and the Friendship Missionary Baptist Church Quilting Ministry. Clothing construction and quilting have always been a part of my life. They provide me with a creative outlet and are a part of my rest, relaxation and reflection process. When I need to think and find answers to life’s questions, my sewing room is a natural retreat space for me. I learned to sew from my mother and in Home Economics classes during high school and college. At one time, I made more than 90% of my clothing. I love to make children outfits, especially frilly girls’ dresses. It is my belief that all artist should have time for exploring their creativity, unfortunately, real life and the need to survive gets in the way.